Blip is small, shiny and curious. He's new in his big, amazing world and he asks himself all of the important questions while trying to guess how things work. Sometimes brave and sometimes not so brave, often a little dazed: strange things are always happening to Blip who tries to understand - inviting our viewers to do the same. 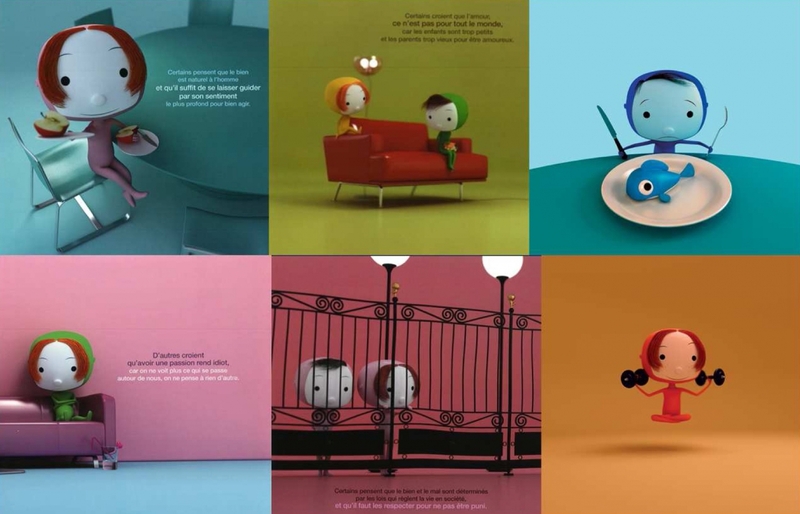 In each episode, Blip asks himself an essential question and then his world helps him to explore it, jumping and sliding his surroundings around to put them in the middle of scenes inspired by the topic. Most of the time, Blip is THE star. Sometimes he's a character walking along. But he is always a familiar figure for our loyal and indefatigable viewers, getting involved with everything that life and our animators have to offer him with curiosity and an open mind.It may be that Blip does not know all the easy answers, but he loves to find out what's coming next.